In 2014 it's already been 20 years since I got hooked on mountain running. I've already celebrated this summer by finishing Lavaredo Ultra Trail 119km and Eiger Ultra Trail 101km. 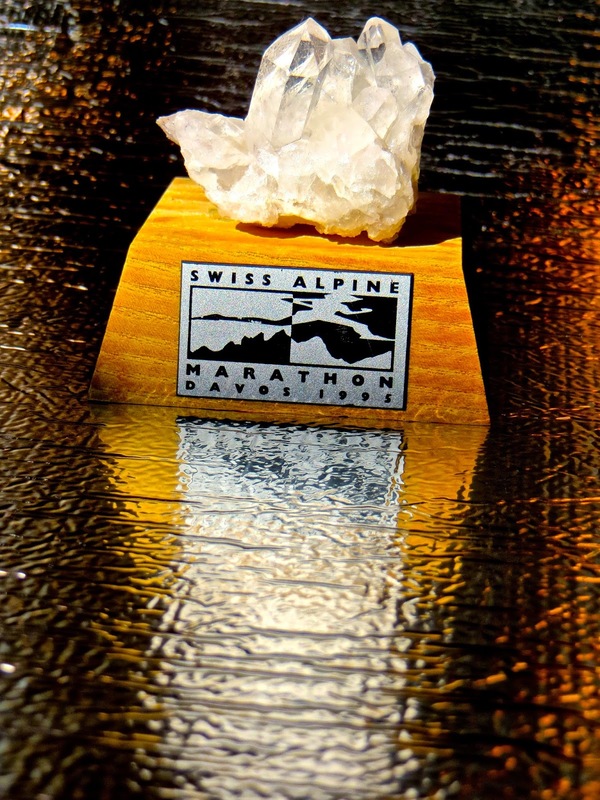 Mountain crystal finisher award I received after Swiss Alpine Marathon 1995. I spent the summer 1995 in Switzerland training around Walensee, Melchsee, Davos, Saint Moritz and several other fantastic locations. Those were very good times. In fact whenever you are running in the mountains, it's always a great pleasure. But what matters is the next 20 years. There are still so many awesome races I want to finish. Starting from Ultra-Trail du Mont Blanc 168km (104 miles) next weekend, my longest ultra so far. Good luck at UTMB! One step at a time out there. I know you will do well. Congrats on your 20 years!